CFT's functional fitness classes are led by expert coaches who are in the pursuit of helping members succeed in their fitness journeys. Our classes combine elements of cardio, strength, gymnastics, agility, balance, and more. Despite what most people would imagine, Andrew spent the vast majority of his childhood and teen years overweight, quitting nearly every sport because he was either too out of shape or too discouraged to compete against other physically gifted athletes. Since deciding to take a hold of the reigns, throw excuses to the wayside, and looking to see just what he could accomplish, he pushed his doubts to the side and realized his own potential through determination and hard work. Training morning noon and night looking to gain confidence, he finally did, and decided he too wanted to share this new found security with everyone around him. “I truly want to make each individual better in one way or another so that they too can realize their own value and truly understand just how unique, beautiful and powerful they are. Regardless of what life is like outside of the walls of ----, I want to make each athlete smile, enjoy their day just a bit more, and realize their own true potential. In this I hope everyone can accomplish new levels of confidence for themselves, as well as inspire those around them to enjoy their journey through life and experience it to its fullest potential. Love God. Love People. Pursue Excellence. Choose Joy." As an athlete who has played competitive sports her entire life, Coach Candace has dedicated herself to helping people around her realize their own potential through fitness. Always with a loving smile on her face, Candace brings a wealth of knowledge to the table along with a caring attitude and genuine love for her athletes. She was a collegiate softball player at Bevill State Community College and says that, “Growing up as an athlete taught me discipline, teamwork, and dedication. This is exactly what I would love to instill in my athletes.” After her years at Bevill State, she finished out her education where she graduated from the Physical Therapist Assistant program with an Associates in Applied Science. After being licensed in 2011, she worked hands on with athletes suffering from a host of physical issues for three years as a PTA at EW Motion Therapy in Trussville. The experience she gained working in the Physical Therapy field makes her an invaluable asset to us as she can ensure her athletes are moving properly, safely, and effectively. As a current professional athlete for the NPGL San Francisco Fire, CrossFit competitor, and former competitive cheerleader, Coach Taylor has competitiveness and a strive for excellence throughout her personality. Walking into her first CrossFit workout in 2014, she saw the competitive and engaging nature of the sport that she had been missing so much. Being surrounded by people of all backgrounds, ages, goals, and needs only made her that much more impressed with what could be accomplished through CrossFit. Since then, she's never looked back. Now in her 4th year of CrossFit, Taylor has achieved many of the goals she has set for herself thus far, including: getting drafted as a professional athlete by the San Francisco Fire in the NPGL as a bodyweight and gymnastic specialist. She is a dedicated athlete who is constantly focused on bettering herself in all regards, including her many fitness goals. With her background in cheerleading and gymnsastics and subsequent knowledge of how the human body moves, she knows exactly how to cue her athletes with proper form and hlp them reach their goals. Her coaching style is a combination of technique and form first presented with an exciting and uplifting personality, so you know you will never see her coaching without a smile on her face and words of encouragement. 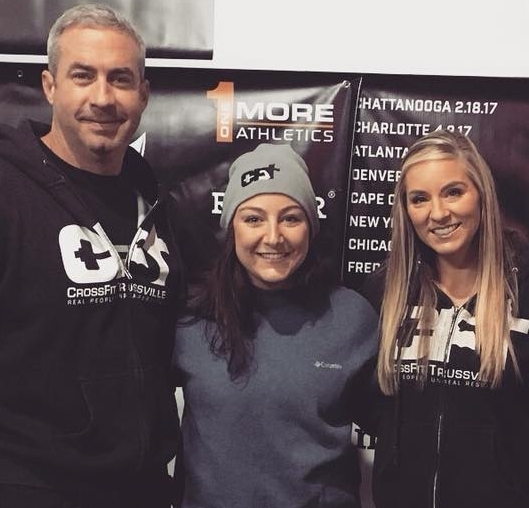 Her favorite part of coaching is the teaching aspect, and there's nothing she loves more than when she has the opportunity for an athlete to "see the light come on", who she says have become family to her since joining the CrossFit Trussville team. Outside of being a competitive athlete and coach, Taylor is also a Kill Cliff Rep servicing the Southeast, a HUGE Alabama football fan, and the soon-to-be bride to one of our competitors "Boy Taylor" (yes, his name is Taylor too!) They now live in Southside with their 3 fur babies: a tabby cat named Prince, a shepherd mix named Jake and a pitbull mix name Harley. As an athlete who has been in sports all of her life, including sports such as; soccer, softball, dance, cheerleading, and gymnastics. The sport she devoted the most energy toward was gymnastics. As a natural-born gymnast who spent 8 years in the sport until her senior year, she knows what it takes not only to excel in the sport, but also what it takes to be proficient in bodyweight movements. Beginning CrossFit only wanting to stay in shape, Sophia quickly realized that she had found a way she could train her body and elicit her competitive nature as well. Sophia has a passion for understanding human movement, exercise, wellness, nutrition, and everything involving fitness; graduating from UAB with a major in Kinesiology, Exercise Science, and a minor in Nutrition Science will propel her into her next stage in life. Attending OTA school and eventually working in pediatrics, Sophia will be changing lives for quite some time. She loves seeing people accomplish things they never thought they could and wants all of her athletes to believe in themselves and achieve what they think is impossible. As she says, "It is extremely rewarding as a coach to see confidence grow in your athletes," and she works tirelessly to always help athletes accomplish their goals. As a firefighter/paramedic, physical fitness and exercise has always been a big part of my life. Exercise has been a major part of my daily routine since 2005. I started working out after while i was in rookie school right out of high school. I knew i had to get stronger if i wanted to excel in this field. I fell in love with exercising. I became a personal trainer in 2009, and that is when i realized i loved helping others achieve their goals. In 2009 i was over the physical fitness program for firefighter recruits during their rookie training. I lead an excruciating daily pt regimen over a 10 week period. I was able to teach guys what it took to work in my field on a day to day basis. Overall, I enjoy coaching and leading people to help them achieve their goals. I enjoy the fellowship and comradery that the CrossFit community has. I have an amazing wife and wonderful son. After faith and family, health and fitness is the next biggest part of my life. James Buxton has been a member of CrossFit Trussville for over five years and has recently received his CrossFit Level 1 Trainer Certificate in late 2017. James loves to serve athletes and see the best come out in them. In High School, James played varsity soccer for Hewitt-Trussville High School, and has always been pretty active.However, while coaching his son's soccer team one day, he realized he could barely keep up for 5 year olds, he knew something had to change. James tried everything, but was never able to "stick" to any one thing. 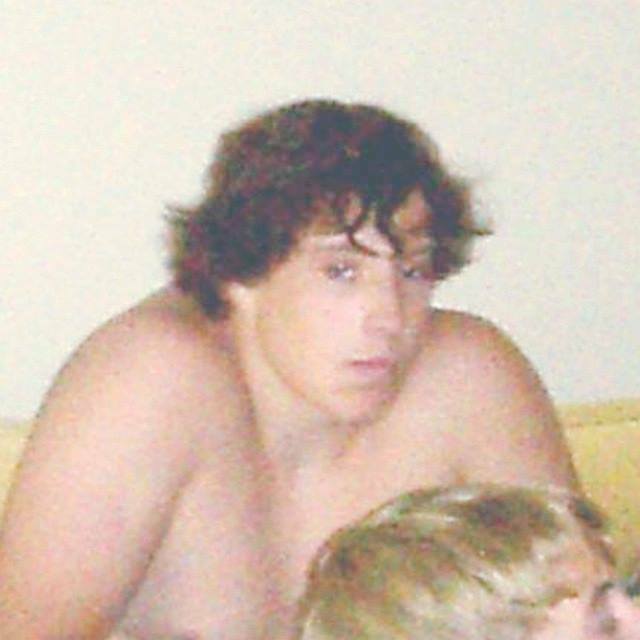 Shortly thereafter, a friend invited him to try out CrossFit Trussville. On that first day of Fundamentals, he was so nervous, he even drove around the parking lot a few times before finally getting up the nerve to park the car, and walk through those glass doors. That day would change his life forever. James quickly connected to others in his same shoes. He went from wanting to just "get into shape" to competing in his first of many CrossFitt competitions. And that's not all. Becoming a part of the CFT family opened up so many doors to other athletic opportunities outside of the box. You see, James never considered himself a runner, but he soon found himself leading a Saturday morning running group along with several other CFT members. This fellowship and motivation from other CFT athletes lead the way to James competing in several 5k's, 10k's and even the Nashville 1/2 Marathon and a Sprint Triathalon at Lake Guntersville, AL. Then, he did not stop there, in 2015 and 2016, James completed two 50k trail races at Lake Logan Martin and in North Georgia. "I truly see being a coach a CrossFit Trussville as a opportunity of a lifetime. I get to help and see athletes of all types accomplish more than they ever thought possible, just as other coaches have, and still do for me. We are all learning from each other and get to experience it all together. I love to serve our gym and represent what we are all about, inside and out of the box. I love my CFT family and cannot wait to see what our athletes accomplish next!" 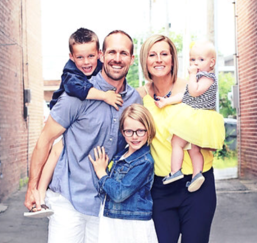 James works full time in higher education administration at a local community college and loves to spend time with his wife, Brooke, and his two kids, Mason and Meredith. As someone who grew up never considering herself athletic or the "sport" type, Melissa has added a myriad of accomplishments and experience to just that. After the birth of her second son, Henry, she decided that adding fitness and exercise higher on the priority list had to be mandatory for her own life. Looking for something that worked, got her into great shape, and could help her become a stronger and more capable Mother, she decided to try our CrossFit in August of 2012. Since then, she has never looked back. Even as a Registered Dietitian with a degree from Auburn University and Masters from University of Alabama with a Dietetic Internship from UAB, she always felt as though she was missing the other 50% of the equation. Since beginning CrossFit Trussville, taking time to learn what it takes to fuel like an athlete, and introducing her own principles in nutrition, she has not only dropped an impressive amount of weight, but also built a deal of lean muscle. Her heart is in changing lives by helping realize how important nutrition is to health and just how much of a component it is to fitness. Her motivation is other peoples success and she gets excited every time the light bulb goes off for someone in realizing their own potential. If you don't see her at the gym, you can expect her to be spending quality time with her two boys Will and Henry (13 and 8 respectively) and her husband Chris. I am Christian woman who is married to an amazing man, Thomas Cox and a mother of 3 beautiful children: Johnna 9, Teagen 6, and Jorja 2. I played high school volleyball, basketball, softball and ran track and competed in the heptathlon. I played basketball and volleyball in college and upon graduating a year later discovered that coaching/teaching was my calling. I have spent 17 years teaching/coaching science/volleyball at the high school level and coaching one at the college level. Outside of coaching/teaching I have always enjoyed lifting weights and got into running a lot in 2005. When My husband was introduced to CrossFit in 2009 it only took him a year to get me to try it and I haven't looked back since. I loved the changes that CrossFit produced in my body. Out of all the things I had ever done for so many years nothing produced the results that CrossFit did. I have had the privilege of being able to work with some phenomenal athletes and learn so much from them. What I began to love even more than the physical results was the wealth of information I was learning and using it in the conditioning and strengthening of my athletes. Since our move to Birmingham in October I am no longer teaching but will be on board at trussville high school as an assistant volleyball coach in the upcoming season. What I love the most about coaching is the positive relationships I get to build with others and getting to see the influence it has on me and on them. I enjoy so much the privilege of being able to help others as they are on their journey to being fit and achieving goals in all aspects of life physically, emotionally and spiritually. in being a competitive athlete. and support me and my family in our growth and in the hard times in life. accomplished anything as an athlete, so I am super excited to be part of their journey. I am married to my amazing husband Jay and mommy to Jax and our fur babies Brisbane and Maggie. After our love for Jesus and family, our health and wellness is an important part of our family life. I am currently a student at the University of Alabama at Birmingham pursing a degree in Civil Engineering which has always been a life time goal of mine, but I also have a very strong passion toward the sport of CrossFit. Growing up, I have always been involved in some sort of athletic activity whether it was riding bikes around town all day, hiking through the unexplored woods, or playing sports. I played football for a total of eleven years along with finding soccer in middle school and went on to play it for four years. It wasn’t until 2015 that I was introduced to CrossFit and I realized that it was a whole new level to fitness that I fell in love with. I have never felt such a greater effect on my physical and mental health until I found CrossFit. Just being with the community of great encouraging people makes everything in CrossFit so much different than any other thing I have ever experienced. Once I started coaching, I soon realized that it was something that I loved and had a passion to do. I love seeing people achieve goals that they never thought was possible and be able to apply it to an everyday lifestyle.